6979 Sunset Strip Ave NW. 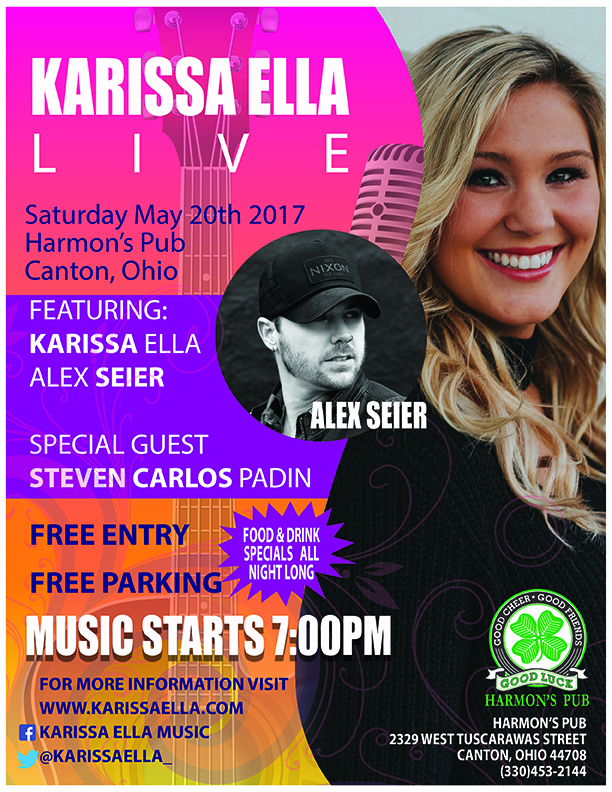 Monday November 5th 5 p.m.-6:30 p.m.
Sept 4th @ 6 p.m.
Karissa Ella’s youthful and soulful style is a breath of fresh air in today’s world of country music. Inspired by the likes of Shania Twain, Gretchen Wilson, Garth Brooks, and Carrie Underwood, her music, writing, and live performances attract people of all ages. 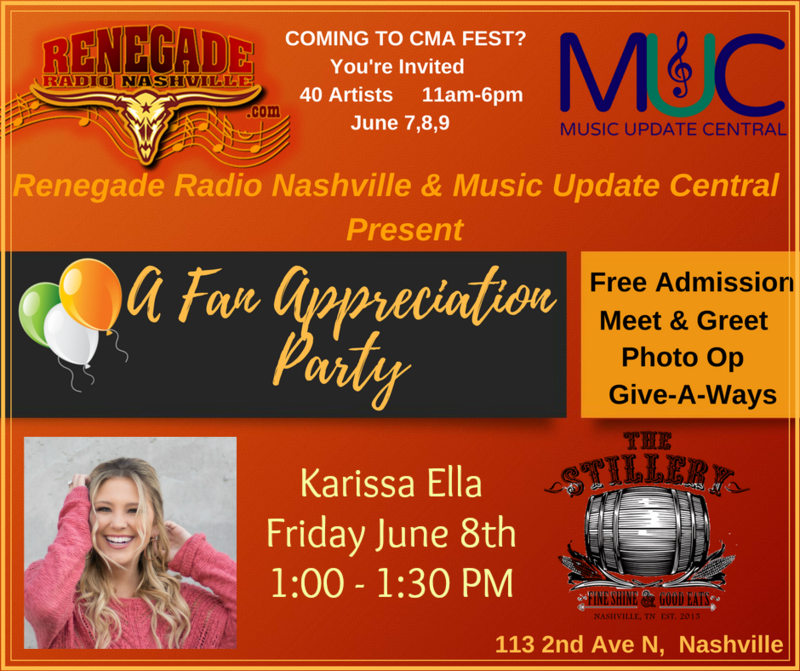 Armed with a Music Entertainment Degree from Belmont University and having been singing for crowds from the young age of 10 years old, Karissa is one of country music’s rising stars!